**Integrated tube headache rack**- Our headache racks are designed with the best and strongest materials to keep you safe when the unexpected happens. Our 3 1/2 " x 3 1/2 " best in class tube headache racks are second to none. **Super durable powdercoat finish**- CM Truck Beds coats our products with powder, while many other companies paint. Our powdercoat finish covers every crevice, under every edge, and with a protection to maintain a superior finish and shine for many years! **4" structural steel channel frame rails**- Our structural 4" channel frame rails are stronger, more durable, and prevent any rusting from the interior of the tube. Furthermore, we don't use roll formed runners, making our structure stronger than any on the market. 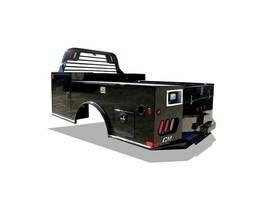 **1/4" rub rails and stake pockets**- Provides your straps and gives you multiple tie down points throughout your hauling jobs. **1/8" steel tread plate deck**- This strong and long-lasting deck is designed for heavy duty work, withstanding the rigorous work conditions that our bodies are placed under. 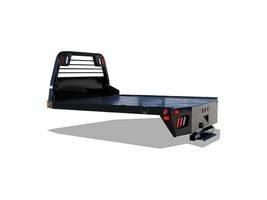 Compare to other bodies on the market which use 11 gauge and 13 gauge floors. **26,000 lb. rated B&W gooseneck hitch with 7 way electrical plug**- This is a best in class, independently tested gooseneck hitch that will remain durable throughout your hauls, no matter what they may be. It also contains a 7 way electrical plug to give you ample choices for your power-driven needs. **Modular sealed wiring harness**- Our wiring harness are designed to withstand the light or harsh conditions they are placed under. Our Modular Sealed Wiring Harness is designed to reduce corrosion, pulling apart, or deterioration. **14,500 lb. 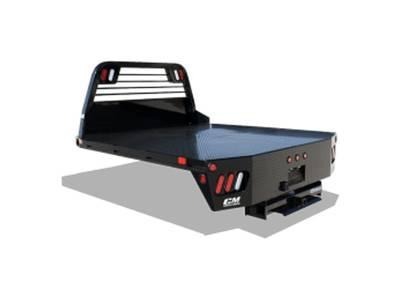 rated B&W bumper pull hitch**- CM's independently rated bumper pull hitch gives you a best in class towing capacity which is integrated into the entire frame. **7 way round and 5 way flat electrical plug standard on rear tailboard**- This standard feature allows you to hook on to any trailer and provide quality results. **LED DOT required lighting (clearance and marker lights)**- When you are backing up, turning, or hitting those brakes along the road, our LED lights will make your truck bed stand out more and brighter! Our LED lights also use less power than conventional incandescent lights. **3" Steel roll-formed 3/16" channel cross members**- These are the toughest most durable subframe on work trucks. 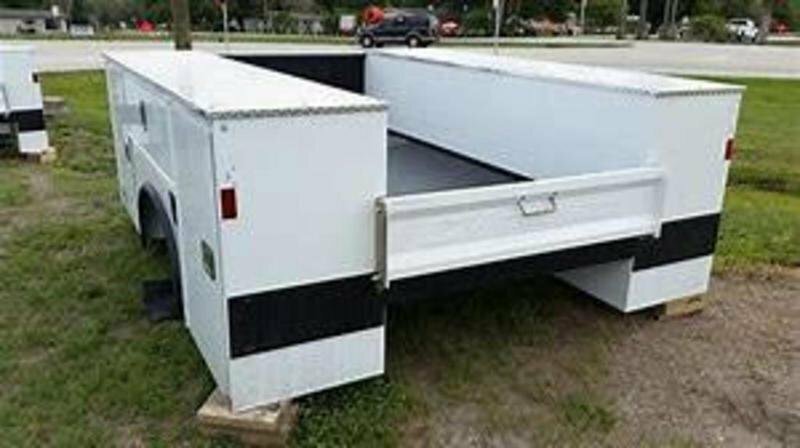 **4" structural steel channel frame rails**- Our structural 4" channel frame rails are stronger, more durable, and prevent any rusting from the interior of the tube. **Angled Fuel Fill**- Want to make sure that you don't have issues fueling your truck, check our angled fuel fill which ensures that you won't have to worry about fueling your work truck or splashing fuel back on yourself.